Caregivers experience a wide range of emotions, ranging from sadness to amusement. These emotions can be overwhelming and difficult to parse, and they can lead to burnout. Journaling is one of the best ways for caregivers to boost their emotional health. Here are a few reasons you should consider maintaining a caregiver journal. At the end of a long and tiring day, sitting down with a pen and a pad of paper may seem unappealing. However, when you’re stressed, sad, or angry, journaling may be the best antidote. By describing your emotions in writing, you can let go of negative thoughts and feelings and lower your stress levels. Taking a break from your caregiving responsibilities is also a good way to relax, unwind, and let go of negative emotions. Whether your elderly loved one needs part-time assistance with basic household chores or you need a break from your caregiving duties, the Winnipeg respite care experts at Home Care Assistance are here to help. All of our respite care services are backed with a 100% satisfaction guarantee, there are no hidden fees in our contracts, and we never ask our clients to sign long-term contracts. Many overworked caregivers have a difficult time making decisions for their senior loved ones, such as choosing the right groceries. Journaling can be an effective way to solve several issues and simplify decision-making. Writing provides the chance to reflect, which may clarify difficult situations. Journaling allows seniors to reduce their breathing rate and simply live in the moment. Even if you write for 10 minutes every day, the meditative impact of journaling could have long-lasting benefits. The activity can lower anxiety levels, mitigate depression, and provide clarity of mind. Caregivers who have tried and failed to meditate may want to experiment with journaling, as it offers similar mental and emotional benefits. You can use the journal as a record of your caregiving experience, which may include daily entries about your loved one’s progress. Even if you only jot down a few notes every evening, you’re likely to notice patterns. For example, you may discover that your loved one’s irritable moods are correlated with certain foods or specific times of the day. Cataloging this type of information can help you identify and remove triggers and enhance your loved one’s quality of life. If you have a senior loved one who needs help maintaining a high quality of life while aging in place, reach out to Home Care Assistance, a leading provider of senior care Winnipeg families can rely on. All of our caregivers are bonded, licensed, and insured, there are no hidden fees, and we never ask our clients to sign long-term contracts. As with meditation, the nerve-soothing impact of journaling has a positive impact on physical health. 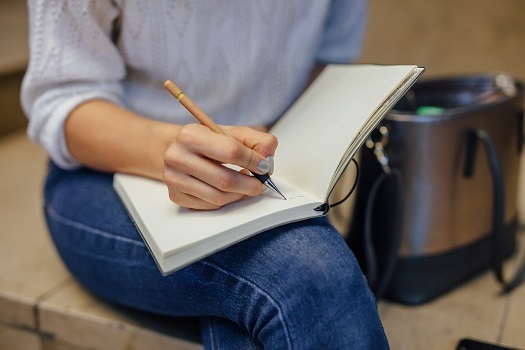 Writing in a journal can alleviate anxiety, lower blood pressure levels, reduce insomnia, boost the immune system, and enhance fine motor skills. Even if you want to start a journal, the blank page can be intimidating. Caregivers who need some extra inspiration should check out the book You Want Me to Do What? Journaling for Caregivers by B. Lynn Goodwin. The book offers plenty of ideas and prompts to get you started. Caring for a senior loved one can be challenging for families who don’t have expertise or professional training in home care, but this challenge doesn’t have to be faced alone. Family caregivers can turn to Winnipeg Home Care Assistance for the help they need. We provide high-quality live-in and respite care as well as comprehensive Alzheimer’s, dementia, stroke, and Parkinson’s care. Call us at (204) 489 6000 to schedule a free in-home consultation.